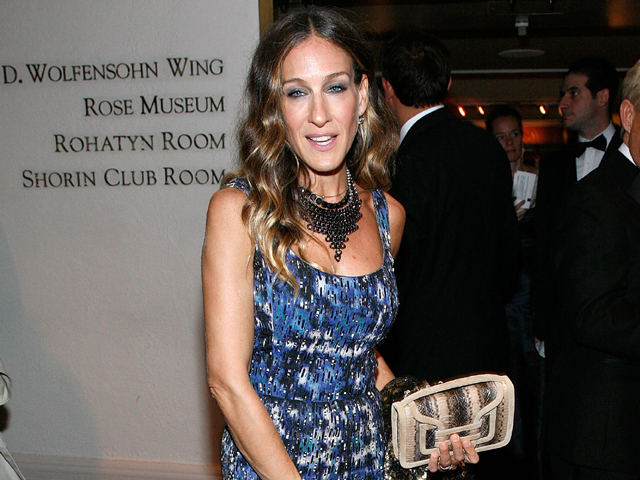 Actress Sarah Jessica Parker, TV personality Barbara Walters and Chelsea Clinton and husband Marc Mezvinsky were among the celebrities who helped Carnegie Hall launch its 2012-13 season Wednesday evening in New York. Mingling with them on the red carpet were media mogul Barry Diller, New York Mayor Michael Bloomberg, classical singers Renee Fleming and Marilyn Horne, and activist and former model Bianca Jagger. The program featured the Chicago Symphony Orchestra conducted by Riccardo Muti, playing Carl Orff's popular "Carmina Burana."